I am knitting one of your patterns with a henley type placket, and I don’t understand how I am supposed to ‘overlap’ the first and last stitches. Below are some photos that might help. 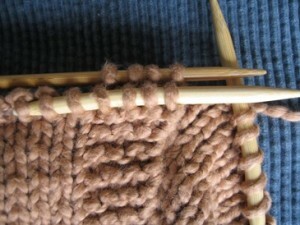 Here are the last 4 stitches of the row placed on a doublepoint needle and overlaped behind the first 4 of the row. 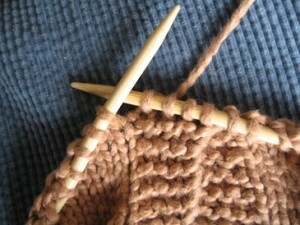 This photo shows knitting a stitch from the front needle together with a stitch from the back needle. 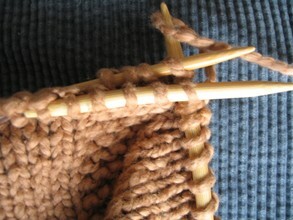 This photo shows the 4 stitches knitted together, thus joining the work into a round.